Our specially baked cookies are perfect to gift someone precious to you. The wonderful taste and fascinating jar packaging will make it even more alluring. Order from our hand-made cookies and baked munchies online and surprise them with something divine. Buy them here! If you are gifting a lover of bakery goods an adorable jar of gourmet cookies, just imagine the height of excitement it will bring to them. If you know someone who would love to have these gourmet delights, then you should definitely consider sending this as a gift to them on a special occasion of theirs. This makes for a ravishing gifting option to send for a birthday, anniversary, wedding celebration, office party or any special occasion such as Mother's Day, Women's Day, New Year, Christmas or Valentine's Day. No matter what the occasion is and which city you intend to deliver the cookies to, you will always be able to make your cookies reach your precious ones right on time and in the most pristine conditions. Opt for our online delivery services to deliver cookies online anywhere in India. Believe us, this thoughtful gesture of yours will be appreciated and cherished forever. We provide 100% authentic, high-quality products. We never compromise on quality, ever! Deliver the cookies online to Mumbai with our expert delivery services and plan for a memorable surprise for them in their celebratory time. 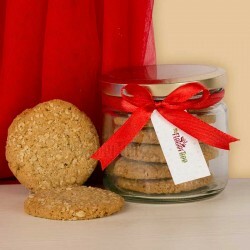 You can also get online delivery of cookies to Delhi or any other city in India with Free Shipping across India. 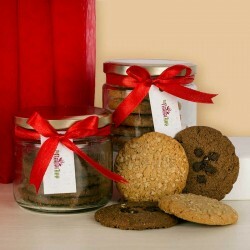 With a tempting aroma and flavorful taste, our Gourmet cookies make for an ideal gift to send to your special ones. We have a wide array of baked goods online for you to present to your dear ones on a special occasion, or just like that! Right from delightful jars containing Oat cookies to something as classy as our Choco Chip Cookies, we have cookies for literally everyone! So whether you are looking a delightful and unique gift for your mom on Mother's Day or a fascinating bakery item for your wife on Valentine's Day, cookies make for the best gift to send. So think no more, and just log on to our online gift portal and pick one from among our wide selection of Gourmet cookies, make the payment, and you are good to go! You will never have to wait for a special occasion to gift your loved ones such delightful food items, since it is always a great present to send. We ensure online delivery of your chosen cookies in the most hassle-free and timely manner. 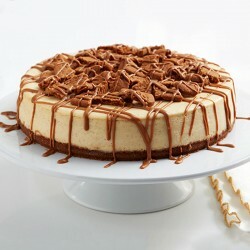 Going for Cookies online shopping with MyFlowerTree will be an incredible experience for you. We not just deliver gifts, we deliver beautiful smiles! Products in this category have been rated 3.9 out of 5 based on 100 reviews.